02/28/18 Chrysler (fca us llc) is recalling certain 2009-2013 jeep wrangler, chrysler 300, dodge challenger and dodge charger vehicles, and 2009-2011 dodge dakota vehicles sold, or ever registered, in the states of alabama, california, florida, georgia, hawaii, louisiana, mississippi, south carolina, texas, puerto rico, american samoa, guam, the northern mariana islands (saipan), and the u.s. virgin islands or "zone a." additionally, chrysler is recalling certain 2009-2010 ram 4500 cab chassis, ram 5500 cab chassis, ram 3500 cab chassis, jeep wrangler, chrysler 300, dodge dakota, dodge challenger, and dodge charger vehicles ever registered in the states of arizona, arkansas, delaware, district of columbia, illinois, indiana, kansas, kentucky, maryland, missouri, nebraska, nevada, new jersey, new mexico, north carolina, ohio, oklahoma, pennsylvania, tennessee, virginia, and west virginia or "zone b." chrysler is also recalling certain 2009 ram 3500, ram 2500, ram 4500 cab chassis, ram 5500 cab chassis, dodge durango, chrysler aspen, ram 3500 cab chassis, jeep wrangler, chrysler 300, dodge dakota, dodge challenger, and dodge charger vehicles ever registered in the states of alaska, colorado, connecticut, idaho, iowa, maine, massachusetts, michigan, minnesota, montana, new hampshire, new york, north dakota, oregon, rhode island, south dakota, utah, vermont, washington, wisconsin, and wyoming. in the event of a crash necessitating deployment of the passenger frontal air bag, these passenger air bag inflator may explode due to propellant degradation occurring after long-term exposure to absolute humidity and temperature cycling. 02/12/18 Chrysler (fca us llc) is recalling certain model year 2011-2014 dodge challenger, dodge charger, chrysler 300, dodge durango, and 2012-2014 jeep grand cherokee vehicles. the affected vehicles have electro-hydraulic power steering (ehps) and are equipped with a 5.7l or a 3.6l engine and a 160, 180 or 220 amp alternator. in the affected vehicles, the alternator may suddenly fail. 12/15/17 Chrysler (fca us llc) is recalling certain 2014 dodge challenger, charger, durango, chrysler 300, and jeep grand cherokee vehicles equipped with a 3.6l engine and a 160 amp alternator. in the affected vehicles, the alternator may suddenly fail. 06/24/16 Chrysler (fca us llc) is recalling certain model year 2012-2014 dodge charger and chrysler 300 vehicles manufactured february 15, 2011, to november 27, 2014, and 2014-2015 jeep grand cherokee vehicles manufactured july 16, 2012, to december 22, 2015. the affected vehicles, equipped with an eight-speed automatic transmission and a monostable gear selector, may not adequately warn the driver when driver's door is opened and the vehicle is not in park, allowing them to exit the vehicle while the vehicle is still in gear. 08/25/15 Chrysler (fca us llc) is recalling certain model year 2013-2015 ram 1500, 2500, 3500, 4500, and 5500, 2015 chrysler 200, chrysler 300, dodge charger, and dodge challenger, 2014-2015 jeep grand cherokee, cherokee, and dodge durango, and 2013-2015 dodge viper vehicles. the affected vehicles are equipped with radios that have software vulnerabilities that can allow third-party access to certain networked vehicle control systems. 06/08/15 Chrysler (fca us llc) is recalling certain model year 2005-2009 dodge ram 2500, 2004-2008 dodge ram 1500 and durango, 2006-2009 dodge ram 3500, 2008-2010 dodge ram 4500 and 5500, 2007-2008 chrysler aspen, 2005-2010 chrysler 300, 300c, 300s, and srt8, 2006-2010 dodge charger, 2005-2008 magnum, 2005-2011 dodge dakota, and 2006-2009 mitsubishi raider vehicles. the affected vehicles are equipped with a dual-stage driver frontal air bag that may be susceptible to moisture intrusion which, over time, could cause the inflator to rupture. 02/27/15 Chrysler group llc (chrysler) is recalling certain model year 2011-2014 chrysler 300, dodge charger, challenger, and durango; and 2012-2014 jeep grand cherokee vehicles manufactured april 22, 2010, to january 2, 2014, and equipped with a 3.6l engine and a 160 amp alternator. in the affected vehicles, the alternator may suddenly fail. 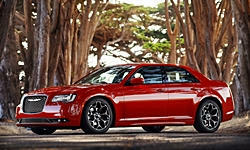 05/18/12 Chrysler is recalling certain model year 2011 and 2012 300 and dodge charger vehicles. these vehicles may lose abs/esc system function due to an overheated power distribution center. Chrysler?s recall number is m10.owners may also contact the national highway traffic safety administration?s vehicle safety hotline at 1-888-327-4236 (tty 1-800-424-9153), or go to http://www.safercar.gov. 03/02/12 Chrysler is recalling certain model year 2012 dodge charger srt8 and the chrysler 300 srt8 vehicles manufactured from may 2, 2011, through november 17, 2011, for failing to comply with the requirements of federal motor vehicle safety standard number 138, "tire pressure monitoring system" (tpms). as built, the tpms does not warn the driver when a tire is 25 percent below the recommended pressure. the recalled vehicles notify the customers when the tire pressure reaches 22 psi rather than the required 24 psi. Chrysler will notify owners and dealers will reprogram the vehicle?s tpms. this service will be performed free of charge. 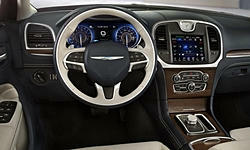 the safety recall began on march 2, 2012. owners may contact chrysler at 1-800-853-1403. Chrysler's safety recall number is l43.owners may also contact the national highway traffic safety administration's vehicle safety hotline at 1-888-327-4236 (tty 1-800-424-9153), or go to http://www.safercar.gov . 02/09/09 Chrysler is recalling 175 my 2009 dodge charger, challenger, and chrysler 300 vehicles. the tire pressure monitor (tpm) sensors may not transmit the actual tire pressure. this could result in the driver not being aware of low tire pressure. Operation of the vehicle with low tire pressure could result in tire damage and cause a crash without warning. Dealers will replace the tpm sensors. the recall is expected to begin on february 9, 2009. owners may contact chrysler at 1-800-853-1403. Chrysler recall no. h41.customers may contact the national highway traffic safety administration's vehicle safety hotline at 1-888-327-4236 (tty: 1-800-424-9153); or go to http://www.safercar.gov. 02/19/07 On certain vehicles, the antilock brake system (abs) control module software may cause the rear brakes to lock up during certain braking conditions. Daimlerchrysler recall no. f50.customers may also contact the national highway traffic safety administration's vehicle safety hotline at 1-888-327-4236 (tty 1-800-424-9153), or go to http://www.safercar.gov. 08/19/15 Engine Chrysler group llc (chrysler) is recalling certain model year 2008 chrysler 300 vehicles manufactured may 31, 2007, to may 12, 2008, dodge magnum vehicles manufactured may 23, 2007, to may 12, 2008, dodge charger vehicles manufactured may 24, 2007, to may 12, 2008, jeep commander vehicles manufactured april 3, 2007, to may 12, 2008, and jeep grand cherokee vehicles manufactured march 21, 2007, to may 12, 2008. in the affected vehicles, the ignition key (fobik) may not return to the "on" position after being rotated to the "start" position, instead sticking between the two positions. potentially, while the vehicle is being driven, the ignition may inadvertently move through the "run" position to the "accessory" or "off" ignition position, turning off the engine. Chrysler will notify owners, and dealers will replace the ignition switch and key fobs, free of charge. the recall began august 19, 2015. owners may contact chrysler customer service at 1-800-853-1403. chrysler's number for this recall is p57. 08/23/10 Engine Chrysler is recalling certain model year 2010 chrysler 300, dodge challenger, charger, jeep commander, grand cherokee and dodge ram vehicles. these vehicles may have been built with a wireless ignition node (win) module exhibiting a binding condition of the solenoid latch. Chrysler's recall campaign number is k08.owners may also contact the national highway traffic safety administration's vehicle safety hotline at 1-888-327-4236 (tty 1-800-424-9153), or go to http://www.safercar.gov . 04/07/17 Transmission and Drivetrain Chrysler (fca us llc) is recalling certain 2014-2017 dodge charger and chrysler 300 vehicles equipped with all-wheel drive (awd). the front driveshaft bolts may loosen and allow the front driveshaft to disconnect, potentially causing a loss of motive power. 03/31/14 Transmission and Drivetrain Chrysler group llc (chrysler) is recalling certain model year 2013 chrysler 300 awd, dodge charger awd, and dodge ram 1500 4x4 vehicles equipped with zf all wheel drive ("awd") 8hp45 transmissions. in the affected vehicles, the transmission output shaft may fracture. 07/21/08 Transmission and Drivetrain Chrysler is recalling 5,509 my 2008 300, dodge magnum, and charger vehicles. the torque retention crimp feature was missed during the manufacture of one lot of rear axle hub nuts. this could cause the nuts to loosen and allow the halfshaft to disengage from the wheel hub. Dealers will replace the rear axle hub nuts. the recall began on july 21, 2008. owners may contact chrysler at 1-800-853-1403. Chrysler recall no. h23.customers may contact the national highway traffic safety administration's vehicle safety hotline at 1-888-327-4236 (tty: 1-800-424-9153); or go to http://www.safercar.gov. 10/02/06 Transmission and Drivetrain On certain passenger and sport utility vehicles and pickup trucks equipped with automatic transmissions, the software programmed into the powertrain control module can cause a momentary lock up of the drive wheels if the vehicle is traveling over 40 mph and the operator shifts from drive to neutral and back to drive. Dealers will reprogram the powertrain control module free of charge. the recall began on october 2, 2006. owners may contact daimlerchrysler at 1-800-853-1403. Daimlerchrysler recall no. f43. customers may also contact the national highway traffic safety administration's vehicle safety hotline at 1-888-327-4236 (tty 1-800-424-9153), or go to http://www.safercar.gov. 11/28/05 Transmission and Drivetrain On certain pickup trucks, sport utility and passenger vehicles equipped with 42rle automatic transmissions, the cup plug that retains the park pawl anchor shaft may be improperly installed. if the shaft moves out of position, the vehicle may not be able to achieve 'park' position. 12/31/69 Transmission and Drivetrain Chrysler (fca us llc) is recalling certain 2018 dodge charger, durango and challenger, jeep grand cherokee and wrangler, chrysler 300, and ram 1500 vehicles. an incorrect transmission park lock rod may have been installed in the transmission. 06/26/06 Brakes and Traction Control Certain passenger vehicles equipped with 2.7 liter engines and mk25e braking systems may exhibit inadequate clearance between the rear brake tubes and the exhaust gas recirculation tube. contact between the brake tubes and exhaust gas recirculation tube over an extended period of time may cause the brake tubes to wear through and cause a brake fluid leak. 12/27/10 Suspension and Steering Chrysler is recalling certain model year 2010 chrysler sebring, 300, charger (lx) and dodge challenger (lc), avenger (js), and journey (jc), as well as model year 2011 dodge ram light duty pickup (ds) vehicles. some of these vehicles may experience a separation at the crimped end of the power steering pressure hose assembly. 06/04/18 Electrical and Air Conditioning Chrysler (fca us llc) is recalling certain 2014-2018 dodge journey, charger and durango, ram 2500, 3500, 3500 cab chassis (more than 10,000lb), 4500 cab chassis and 5500 cab chassis, jeep cherokee and grand cherokee and chrysler 300, 2014-2019 ram 1500, 2015-2018 dodge challenger, 2015-2017 chrysler 200, 2016-2018 ram 3500 cab chassis (less than 10,000 lb), 2017-2018 chrysler pacifica and 2018 jeep wrangler vehicles. these vehicles are being recalled to address a defect that could prevent the cruise control system from disengaging. if, when using cruise control, there is a short circuit within the vehicle's wiring, the driver may not be able to shut off the cruise control either by depressing the brake pedal or manually turning the system off once it has been engaged, resulting in either the vehicle maintaining its current speed or possibly accelerating. 02/03/15 Electrical and Air Conditioning Chrysler group llc (chrysler) is recalling certain model year 2004-2005 dodge ram 1500, 2500, and 3500, 2004-2005 dodge durango, 2005 dodge dakota, 2005 dodge magnum and 2005 chrysler 300, 300c and 300 srt8 vehicles originally sold, or ever registered, in geographic locations associated with high absolute humidity. specifically, vehicles sold, or ever registered, in alabama, florida, georgia, hawaii, louisiana, mississippi, texas, puerto rico, u.s. virgin islands, saipan, guam, and american samoa are addressed by this recall. upon deployment of the passenger side frontal air bag, excessive internal pressure may cause the inflator to rupture. 04/22/13 Electrical and Air Conditioning Chrysler group llc (chrysler) is recalling certain model year 2011-2012 chrysler 300, dodge challenger, and dodge charger vehicles manufactured april 11, 2011, through december 14, 2011. the affected vehicles may have improperly sized terminal crimps on the seat side-airbag wiring harness which may cause the seat side-airbags to malfunction and illuminate the airbag warning light. 07/06/04 Electrical and Air Conditioning On certain passenger vehicles, the battery cable fasteners at the bulkhead stud may not have been properly tightened. 11/09/09 Other Chrysler is recalling certain model year 2009 through 2010 passenger vehicles equipped with rear wheel drive. these vehicles may have been built without a front wheel spindle nut. While driving, a tire and wheel separation could occur increasing the risk of a crash. Dealers will inspect the tire and wheel assembly and if found without a spindle nut it will be repaired free of charge. the recall began on november 2, 2009. owners may contact chrysler at 1-800-835-1403. Chrysler recall no. j27.owners may also contact the national highway traffic safety administration's vehicle safety hotline at 1-888-327-4236 (tty 1-800-424-9153), or go to http://www.safercar.gov . 07/06/04 Other On certain passenger vehicles, a spot welding operation for the rear floorpan reinforcement may not have been performed. 07/06/04 Other On certain passenger vehicles, the front shoulder belt adjustable turning loop (atl) bolts may not have been properly tightened. 09/22/03 Other On certain passenger vehicles, an internal hood latch component may have been manufactured with a crack, which could propagate and break, allowing the primary/secondary latch spring to disengage. This could result in loss of both primary and secondary hood latch function, allowing the hood to open without warning. this could increase the risk of a crash. Dealers will inspect and, if necessary, replace the latch assembly. owner notification began on september 22, 2003. owners should contact daimlerchrysler at 1-800-992-1997. Daimlerchrysler recall no. c29.customers can also contact the national highway traffic safety administration's auto safety hotline at 1-888-dash-2-dot (1-888-327-4236).